Solution and historical analysis of Combat Decision Game # 67, "Falklands War Battle, 1982." Author and historian Carlo D’Este looks back on the importance of the role Jim Gavin and his paratroopers of the 505th PIR played in securing Sicily during the early days of Operation Husky. A new museum, the Historial Jeanne d’Arc (Joan of Arc History Museum), will open in Rouen, France, in March 2015. 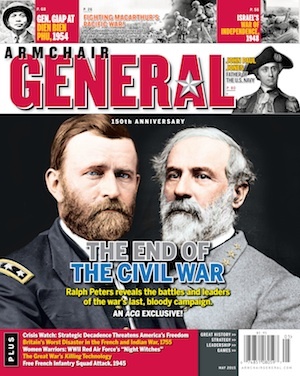 Author and historian Carlo D’Este reflects on the time he spent with Lt. Gen. James M. Gavin. Who is and isn't a sniper? A look at the history of military snipers.